Is honey good for cancer? Can it be considered a natural treatment to cancer? Or only prevention? Scientists have studied the ANTIMUTAGENIC AND ANTITUMOR EFFECTS of honey and gave us their answer. The development of food industry is like a sward with two faces. It has made food incredibly tasty and easy to cook, but it has also brought some harmful components that enter our digestive system with that tasty food. Mutagenic substances act directly or indirectly by promoting mutations of genetic structure. For example, during the roasting and frying of food heterocyclic amines are built, e.g. Trpp-1 (3-Amino-1,4-dimethyl-5H-pyridol [4,3-b] indole). What are the natural ways to fight agaist them? The influence of honey over the mutagenic substances was studied in 2002 by WANG, X H; ANDRAE, L; ENGESETH, N J in the study “Antimutagenic effect of various honeys and sugars against Trp-p-1” and published in the Journal of agricultural and food chemistry 50 (23): 6923-6928. The antimutagenic activity of honeys from seven different floral sources: acacia, buckwheat, fireweed, soybean, tupelo and Christmas berry, against Trp-p-1 was tested via the Ames assay and compared to that of a sugar analogue and to individually tested simple sugars. All honeys exhibited significant inhibition of Trp-p-1 mutagenicity. Glucose and fructose were found to be similar antimutagenic as honey and were more antimutagenic than maltose and sucrose. Nigerose, another sugar, present in honey has immunoprotective activity. Only honey from our honey bees has antimutagenic activity? honey activates the immune system and honey ingestion may be advantageous with respect to cancer and metastasis prevention. The authors also said that honey given orally, before tumour cell inoculation, may have an impact on tumour spreading. • The same group of scientists also studied the effect of honey on tumour growth, metastasising activity and induction of apoptosis and necrosis in murine tumour models (mammary and colon carcinoma) was investigated. A pronounced antimetastatic effect was observed when honey was applied before tumour-cell inoculation (peroral 2 g kg-1 for mice or 1 g kg-1 for rats, once a day for 10 consecutive days)³. The anti-proliferative effect of honey in colon cancer cells was explained by its antioxidant and antiinflammatory properties. • “Honey exerted antiproliferative potential against the HCT-15 and HT-29 colon cancer cells as assessed by 3- (4, 5-dimethylthiazol-2-yl)-2, 5-diphenyl tetrazolium bromide (MTT) assay. Flow cytometric analysis showed the increasing accumulation of hypodiploid nuclei in the sub-G(1) phase of cell cycle indicating apoptosis. Honey transduced the apoptotic signal via initial depletion of intracellular non protein thiols, consequently reducing the mitochondrial membrane potential (MMP) and increasing the reactive oxygen species (ROS) generation. An increasing earlier lipid layer break was observed in the treated cells compared to the control. Honey induced apoptosis was accompanied by up-regulating the p53 and modulating the expression of pro and anti-apoptotic proteins. 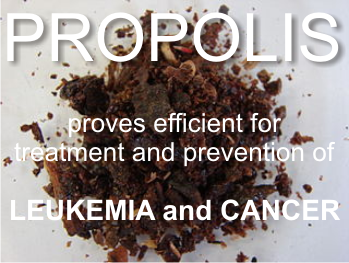 Further apoptosis induction was substantiated using DNA fragmentation assay and YO-PRO-1 staining. • Honey ingestion by rats induced antitumor and pronounced antimetastatic effects. The experimental evaluation of antitumor properties of honey was carried out using five strains of rat and murine tumors. • In another study the antitumour effect of bee honey against bladder cancer was examined in vitro and in vivo in mice.5 According to these results honey is an effective agent for inhibiting in vitro the growth of different bladder cancer cell lines (T24, RT4, 253J and MBT-2). It is also effective when administered intralesionally or orally in the MBT-2 bladder cancer implantation mice models. •3 Spanish honeys induced apoptosis in a concentration and time dependent-manner, in addition, honeys with the higher phenolic content, heather and polyfloral, were the most effective to induce apoptosis in HL-60 cells. However, honeys did not generate reactive oxygen species (ROS) and N-acetyl-L-cysteine (NAC) could not block honeys-induced apoptosis in HL-60 cells. • Tsiapara et al. investigated the influence of Greek honey extracts (thyme, pine and fir honey) on the oestrogenic activity and cell viability of breast (MCF-7), endometrial (Ishikawa) and prostate (PC-3) cancer cells. Manuka honey has antiproliferative activity of manuka honey on three different cancer cell lines, murine melanoma (B16.F1) and colorectal carcinoma (CT26) as well as human breast cancer (MCF-7) cells in vitro. Heated honey has some advantages! Dr. Jamal Zidon and his associates conducted a study at several hospitals in Israel on severely ill cancer patients with multiple types of cancers. These patients all suffered from acute febrile neutropenia (AFN), a life-threatening condition in which the white blood cell count is dangerously low. All of the patients required treatment with Colony Stimulating Factor (CSF), an expensive drug given to boost the immune system response. The patients, while treated with various chemotherapy protocols, were also given a teaspoon of LMH for five days before their second round of chemotherapy doses. Remarkably, there was no recurrence of neutropenia after the honey treatment. Forty percent of the patients had no need for additional CSF treatments. Most patients included in the study group showed increased neutrophil counts, decreased occurrences of thrombocytopenia, and stabilized hemoglobin levels. 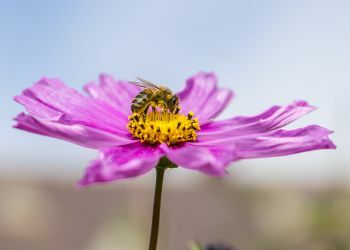 No specific biochemical mechanisms were given to explain the results, however the findings were consistent with other published reports citing the immune system enhancement effects of honey. and improves the body’s ability to fight cancer. Overheated honeys could potentially compensate the loss of quality by winning anti-cancer properties. Honey has been promoted for use in cancer treatment, research suggests that honey facilitates the ability of tumor cells to destroy themselves, thus inhibiting the growth of certain cancer cells. 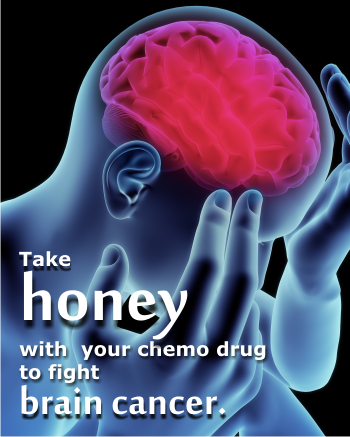 However there is need of more tests and clinical trials to prove honey’s efficiency in directly treating cancer, alone or in combination with other substances, outside the lab. What are clinical and laboratory studies telling us? That regular consumption of honey results in elevation of platelet counts, stabilization of hemoglobin levels, and improvements in white blood cell counts, all results being associated with improved immune system functioning. ³ ORSOLIC, N; KNEZEVIC, A H; SVER, L; TERZIC, S; HECKENBERGER, B K; BASIC, I (2003) Influence of honey bee products on transplantable murine tumours. Vet.Comp.Oncology 1 (4): 216-226. 4 JAGANATHAN, S K; MANDAL, M (2010) Involvement of non-protein thiols, mitochondrial dysfunction, reactive oxygen species and p53 in honey-induced apoptosis. Investigational New Drugs 28 (5): 624- 633. Yes, help. Not cure, but definitely help. Honey is used more for preventing cancer, not to cure it, but bee pollen and propolis have a more intense activity. Also try black seed powder with them. And yes, buckwheat honey has lots of antioxidants and is probably the best honey for such cases. Cut out sugar and animal protein (meat, dairy, eggs). Completely. And keep on reading and watching videos, we are lucky these days for having Internet. Take advantage of it. And there are so many complementary therapies that really work. I have always knew that honey is very healthy and could heal a lot of things, but that is amazing. “A lot of royal jelly” – that is a great choice. Royal Jelly is very good for our health. And yes, honey is good to prevent cancer, and if it is already installed, helps the body fighting against it.